Return a messy stovetop with grease-covered burners to like-new condition in under 30 minutes. Here's how. We’ve all been there: It’s the end of a long day, and rather than wipe up the splatters on the range, you decide the mess can linger for a day. A week later, you still haven’t cleaned the stove burners, and—largely thanks to the pasta sauce you’ve just brought to a low simmer—the situation has only gotten stickier. OK, it’s time. All it takes is one deep cleaning to restore the stovetop to its pristine state. Follow these steps to clean stove burners quickly and with a minimum of hassle. Before going any further, wait until the burners have completely cooled. Next, remove the grates (for a gas range) or burner coils (for an electric range). In the latter case, it takes only a little tug-and-lift motion at the point where the coils connect to the sockets on the stove. If those coils don’t budge, refer to your appliance manual in order to avoid causing any damage. Once the grates or coils are off, move them over to your countertop to be cleaned separately. Combine lukewarm water and a bit of dishwashing soap in a bowl. Dip a cloth or sponge into the solution, then proceed to scrub the burners. (With an electric range, do your best to avoid getting the sockets wet.) If you’ve cleaned the burners somewhat recently, you may have luck with this approach. To tackle tougher stains, enlist the abrasive power of baking soda. Mix a handful of baking soda with a little bit of water to form a thick paste. Coat your burners in the paste and let them stand for about 20 minutes. Once that time has passed, caked-on residue should have become soft enough to be removable with a sponge. Lastly, rinse off the burners to make sure that none of the paste remains. If neither of the above has worked to clean your stove burners, there’s one more method to try. Place each burner into its own plastic bag, along with a quarter-cup of ammonia. The goal is not to cover the burners in ammonia, but simply to seal them in with the ammonia fumes. Let the plastic bags sit overnight in your sink, in case of a leak. On the next day, with proper ventilation in the kitchen, open the bags and now—finally—the burners should come clean under a sponge. 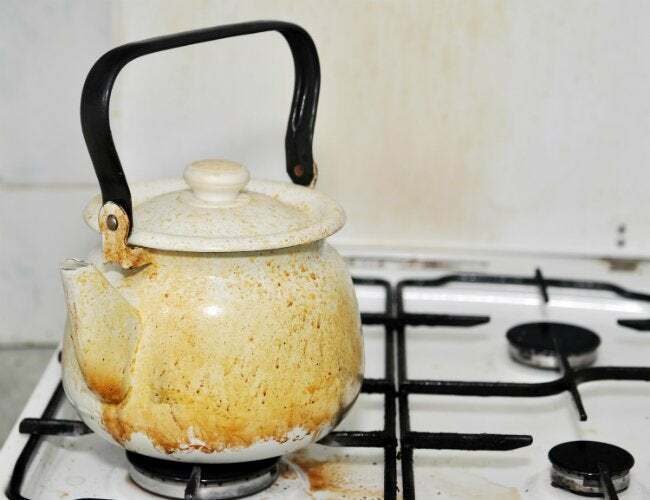 Once the burners are no longer caked in residue, remember to rinse them thoroughly to remove all traces of the ammonia. Pat down the burners with a clean cloth or paper towels and let them air-dry. 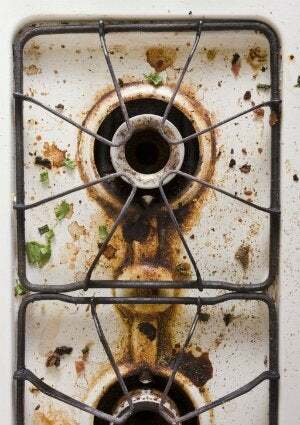 Before reconnecting the coils on an electric range, be certain that both the coils and the stove sockets are both completely dry. One trick for everyday cleaning is to spray the burners with vinegar. Let them sit for a while (perhaps while you put dishes in the dishwasher), then wipe down the vinegar-treated burners with a clean cloth or paper towel. Cleaning burners after each use of the range makes it so grease and food residue cannot accumulate, and that negates the need for a deep cleaning like the process laid out in the steps above.